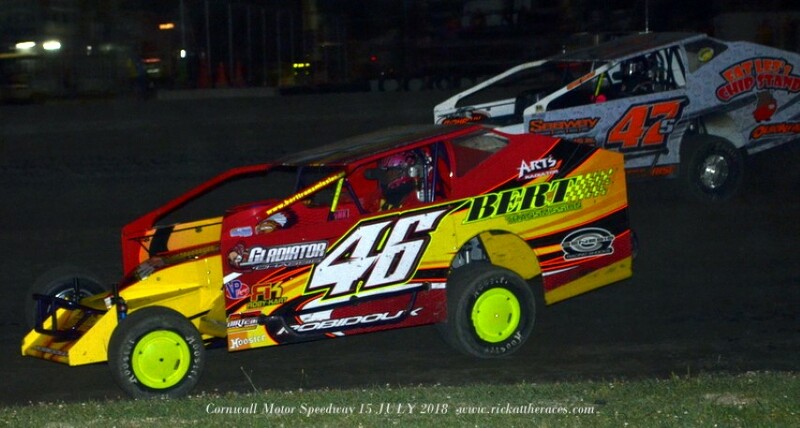 The past week was another busy one for me, with four nights of racing on my back door. 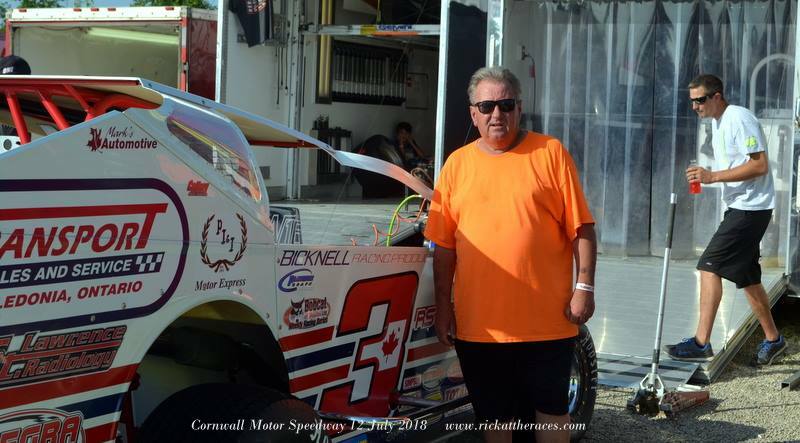 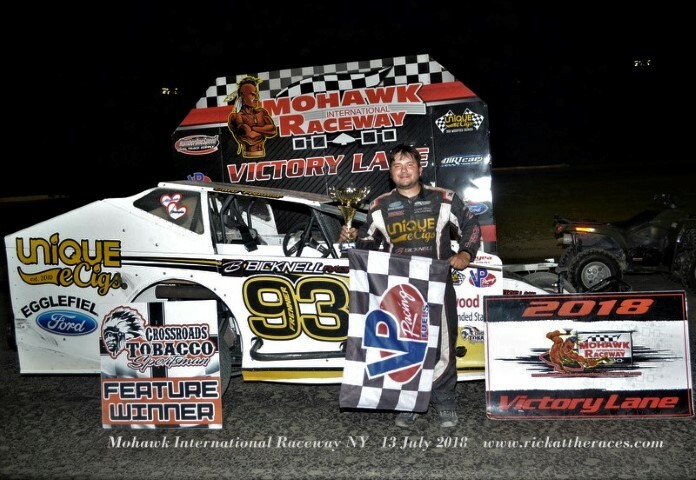 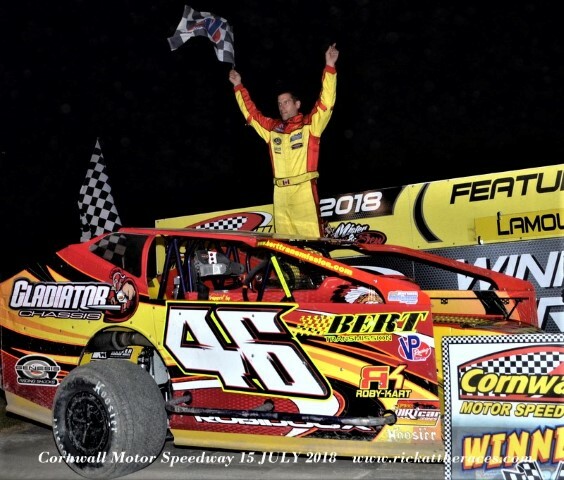 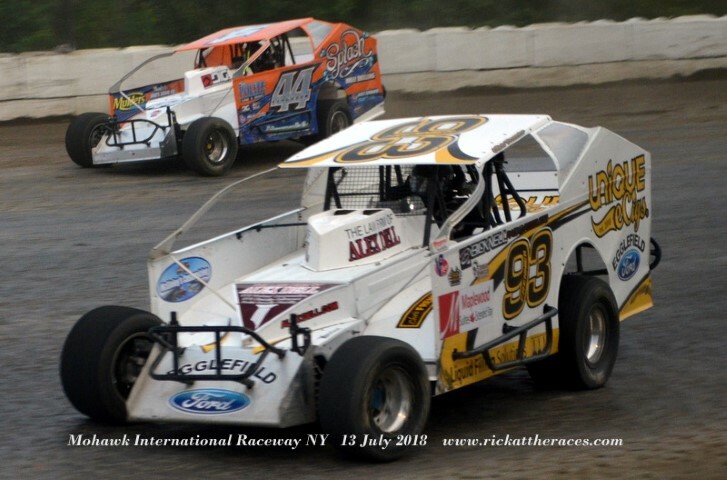 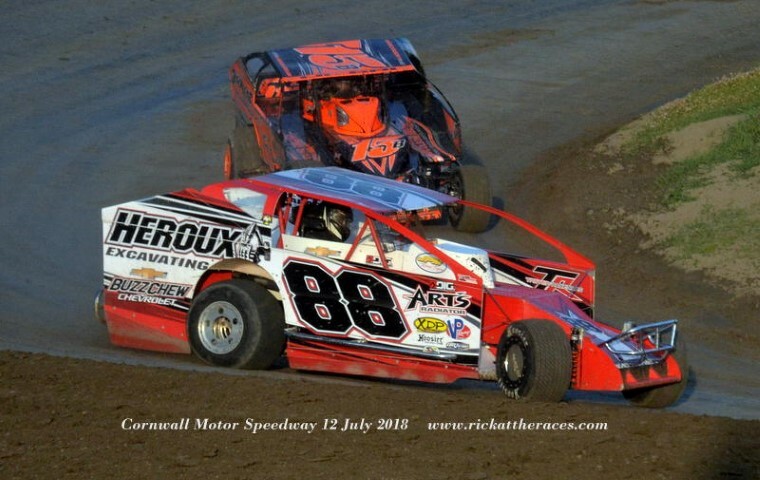 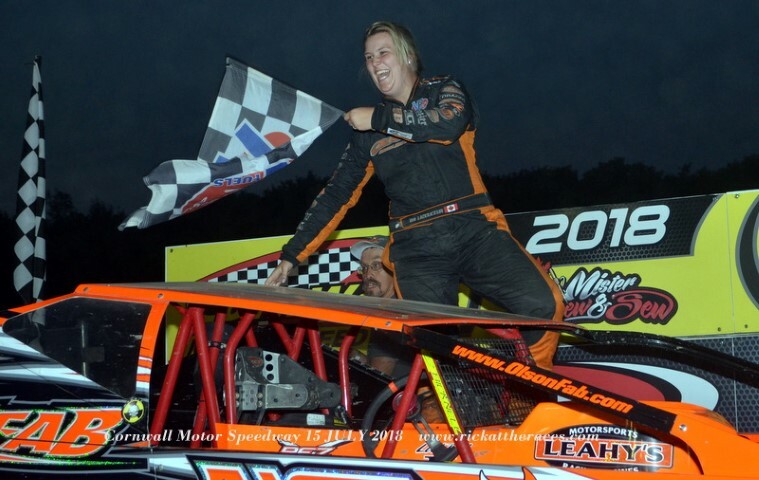 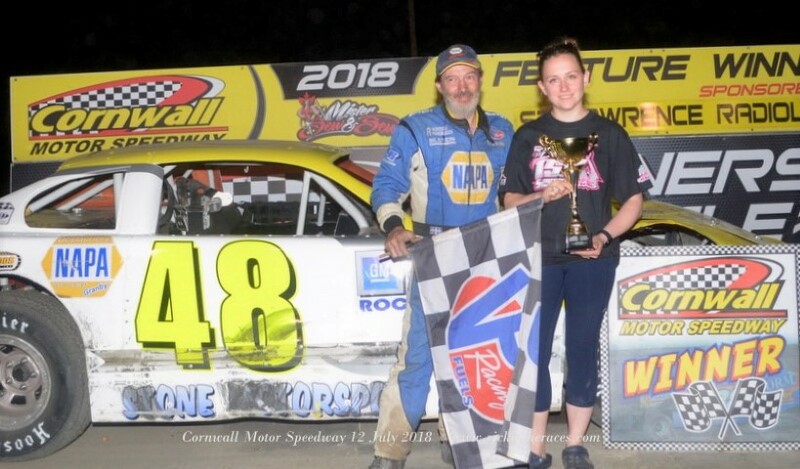 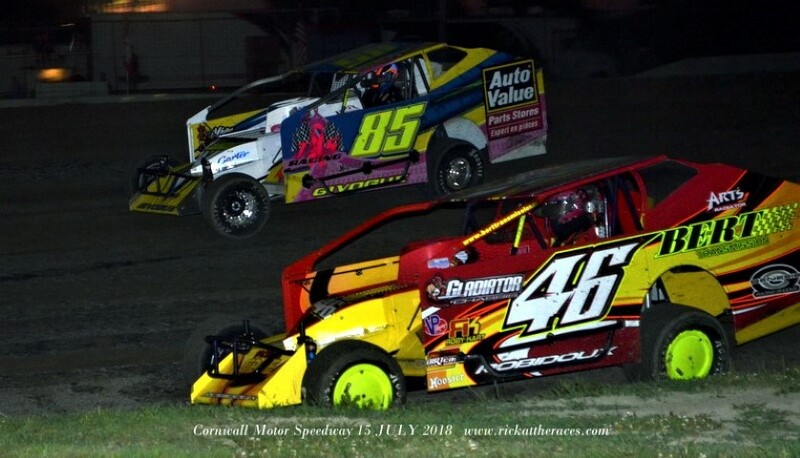 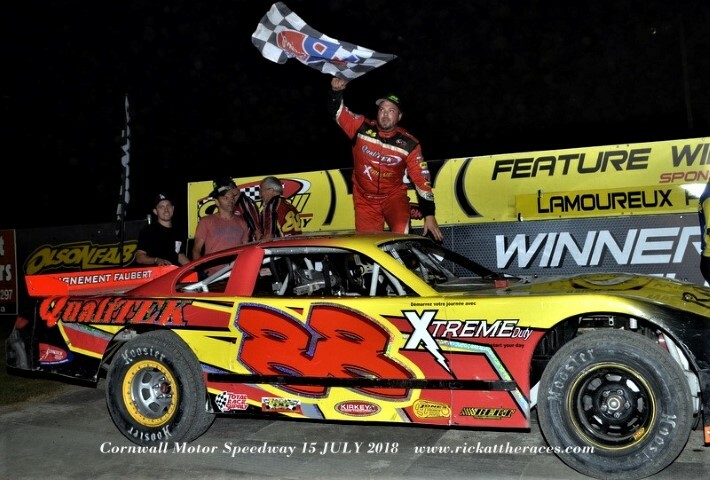 Thursday 12 July, the Cornwall Motor Speedway put on their special midweek ‘Race For a Cure’ , Dirt Car 358 Modified Series. 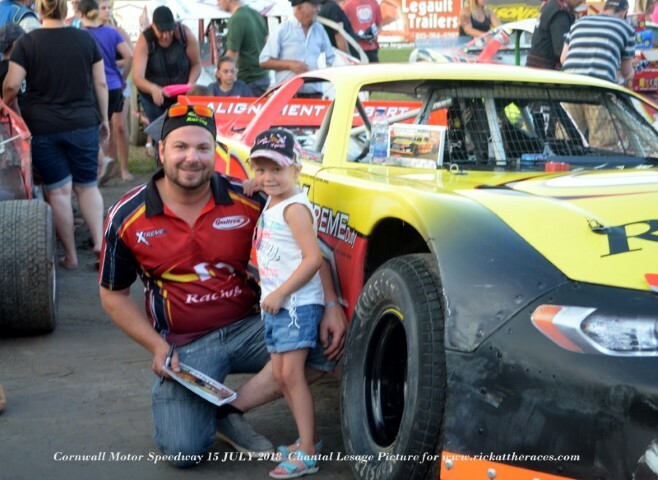 It was a 150 lapper and many of the sports top guys were in attendance . 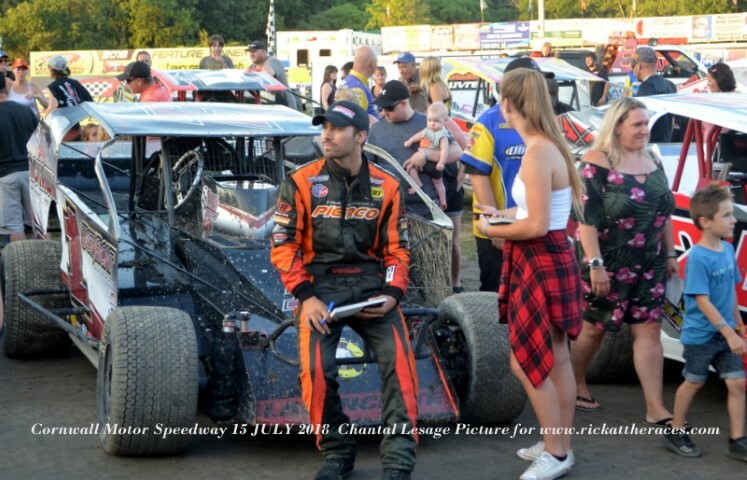 Matt Sheppard was there driving the # 3 Slack owned car. 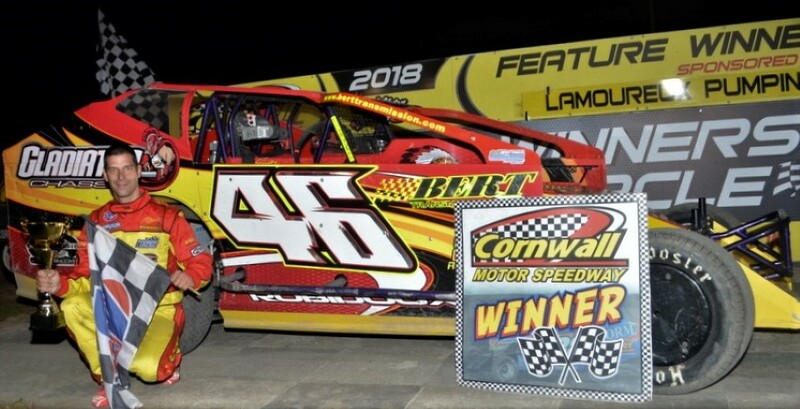 Its rare to have a mid week show at Cornwall , and this one proved to be a great success. 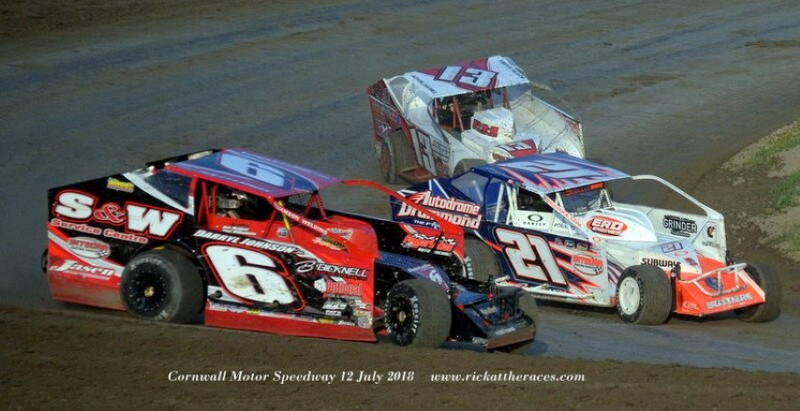 The pits were full, and so were the grandstands. 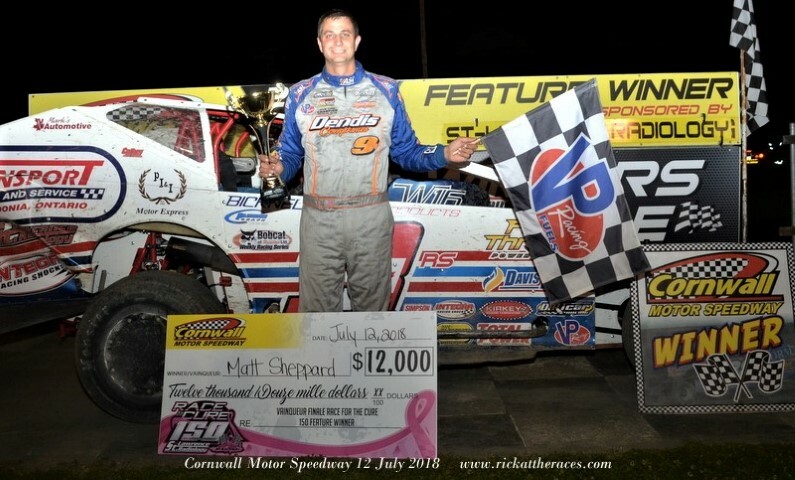 The big race was won by Sheppard , who fought back from an early race mishap, to wrest the lead from Matt Williamson on the last lap. 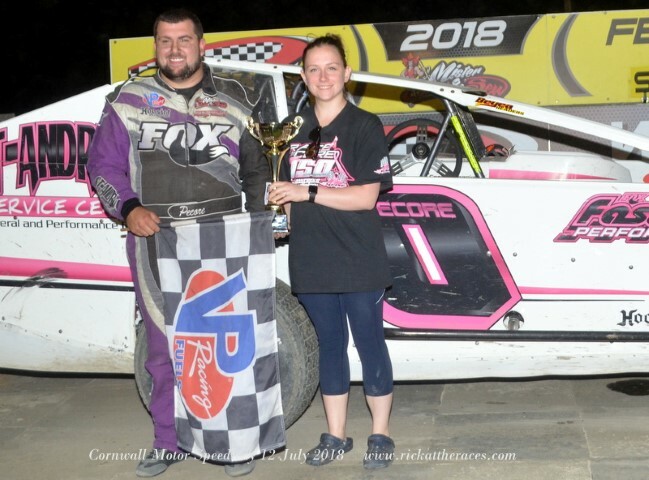 The Sportsman Feature was won by Shane Pecore and Jocelyn Roy took the honors in the Pro Stocks. 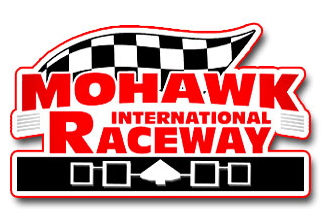 The Cornwall track is only a ten minute drive from my house, and Friday nights races at the Mohawk International Raceway, are about the same, if there are no delays at the USA/CANADA border. 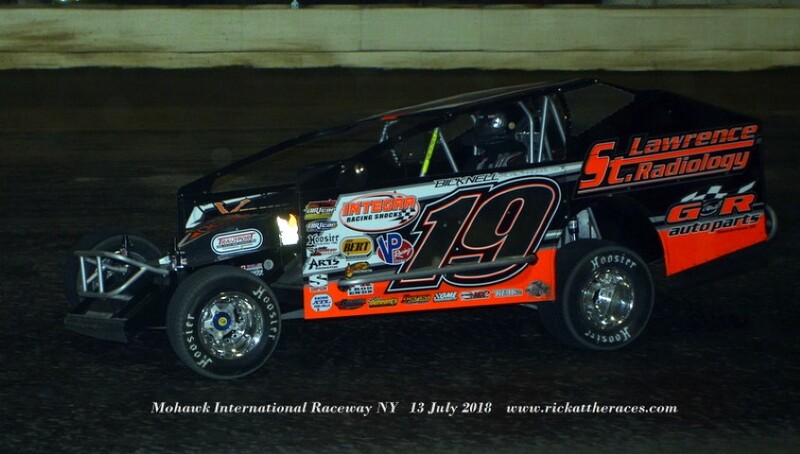 On ‘Friday the 13th’ it was just a regular show, and with storm clouds lurking above all night, the program was sensibly rushed along, to beat the threat. 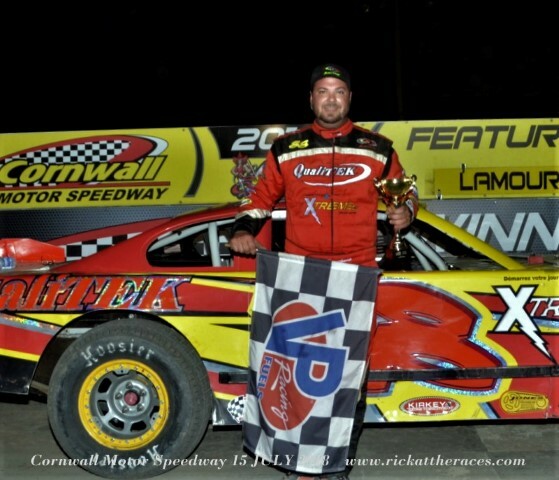 while Chris Frenier took the Sportsman checkers. 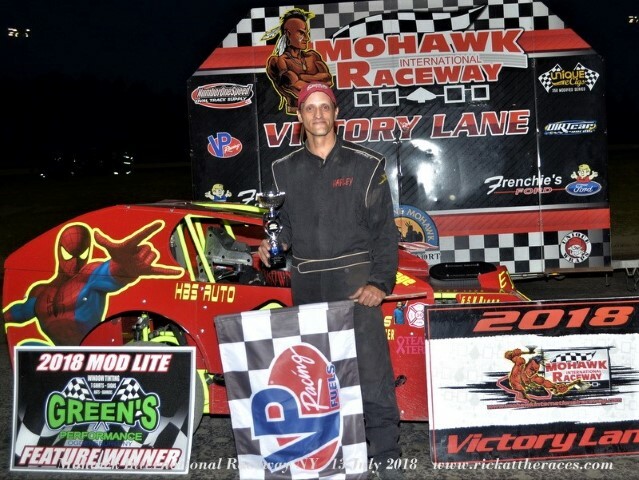 The Mod Lit feature was won by Harley Brown. 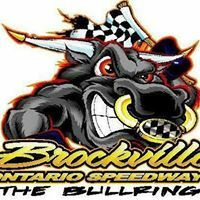 Saturdays racing, also wasn’t too far from home, and involved a short trip down Hwy 401 to the Brockville Ontario Speedway. 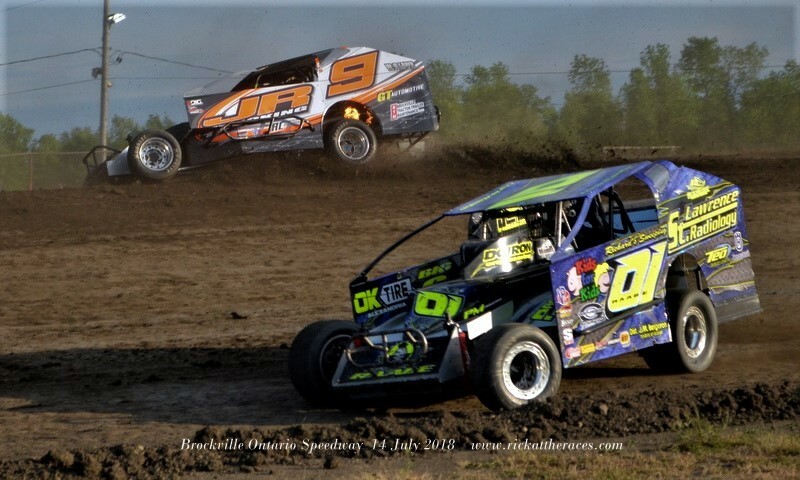 It was the final round of the Border Battle, that was a joint co-operation between the B.O.S and the Can Am Speedway at Lafargeville, NY. 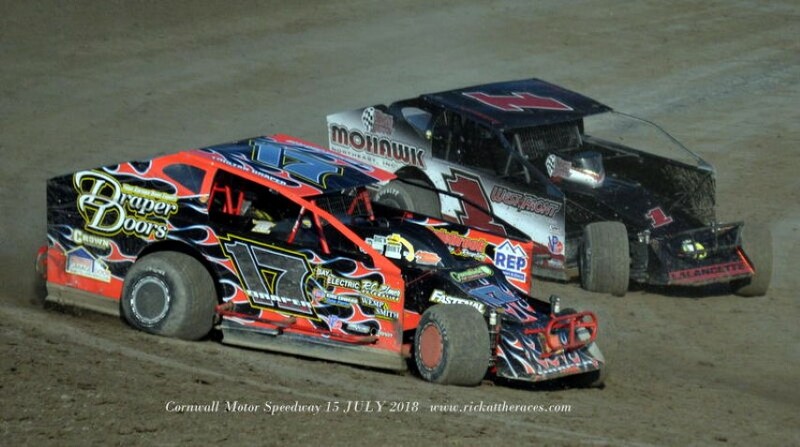 The four race series for Modifieds turned out to be a bit of a disappointment, with no visiting cars from south of the border at either of the B.O.S events. 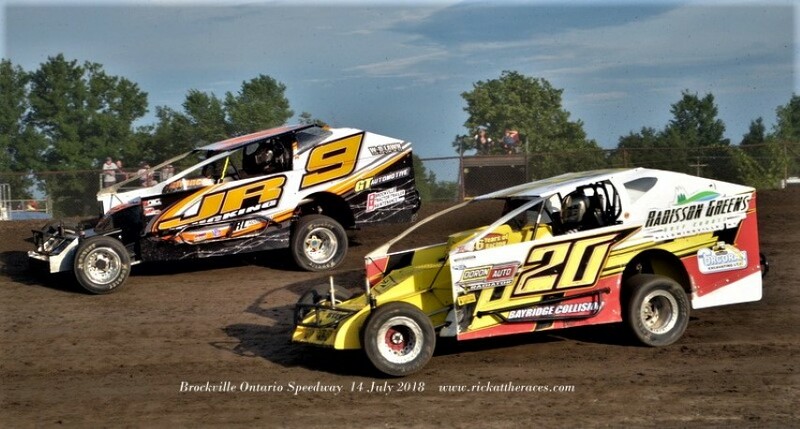 There were 20 cars in attendance, mainly locals and Quebecers. 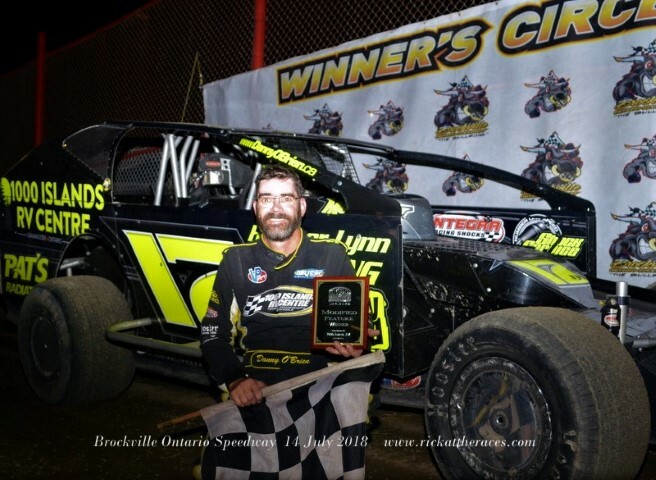 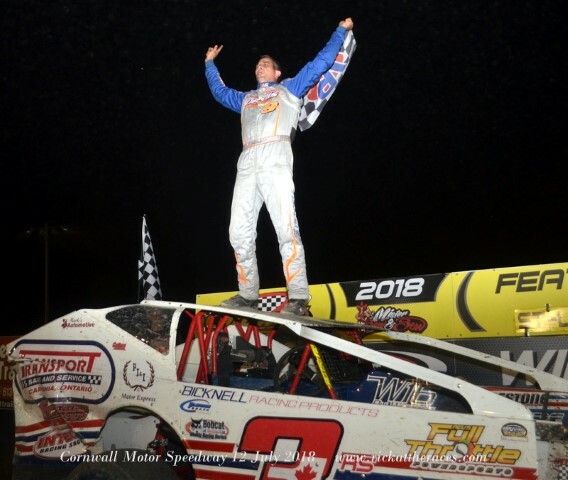 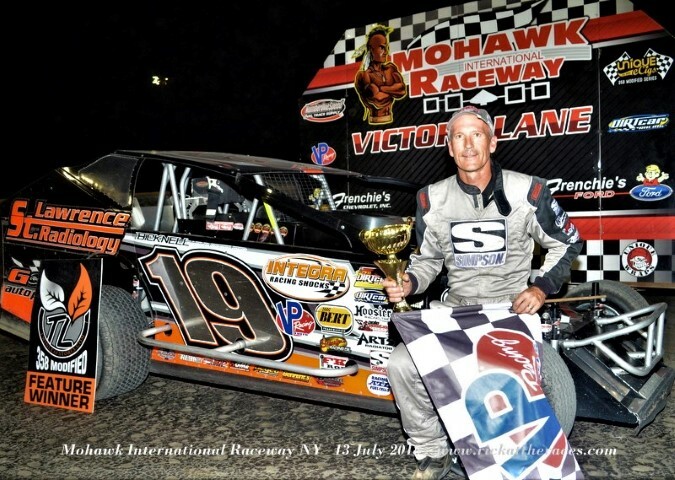 Danny O’Brien captured his third consecutive Modified Feature, while Ryan Arbuthnott was crowned King of the Border Battle. 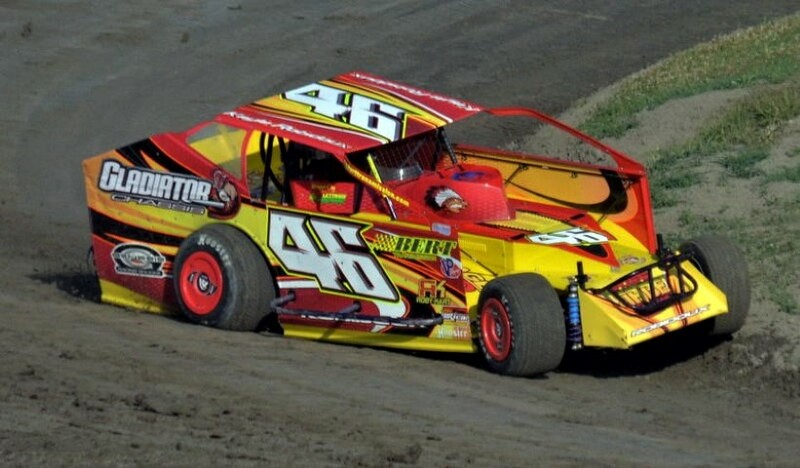 Time was dragging on, and I was getting a bit tired, so opted to miss the Sportsman Feature and head for home. 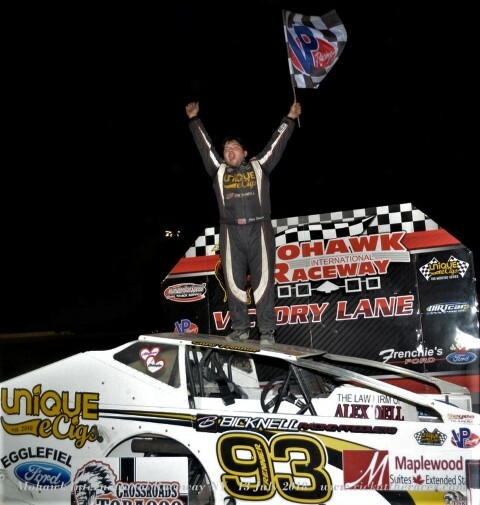 I found out later that Johnathon Ferguson took the checkers. 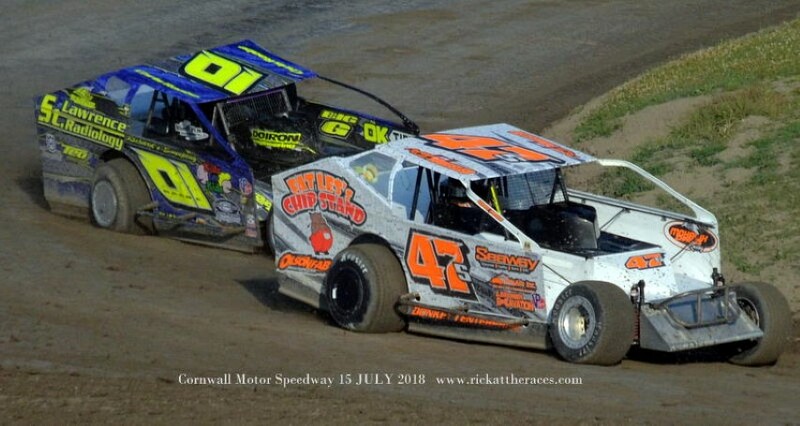 The fourth and final show for this weeks report is the regular Sunday races at the Cornwall Motor Speedway. 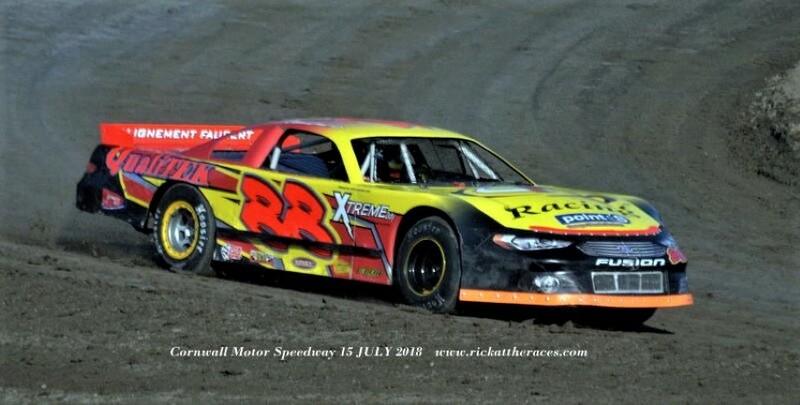 It’s been another week of scorching temperatures, so I left it a bit later than normal to get there. 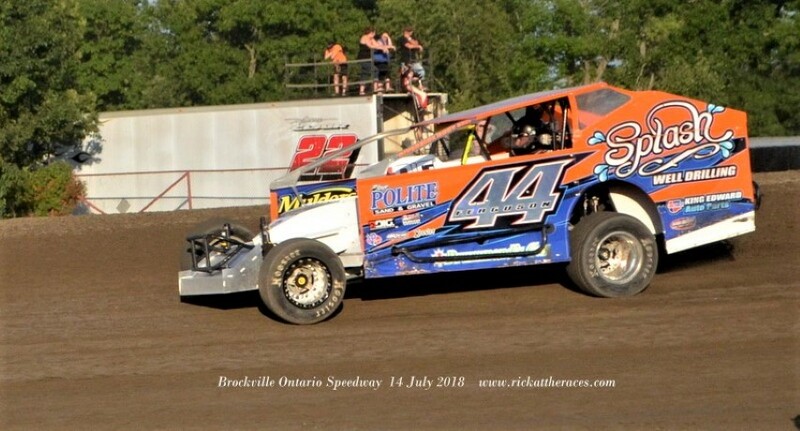 I preferred lazing around home, keeping cool until just before start time. 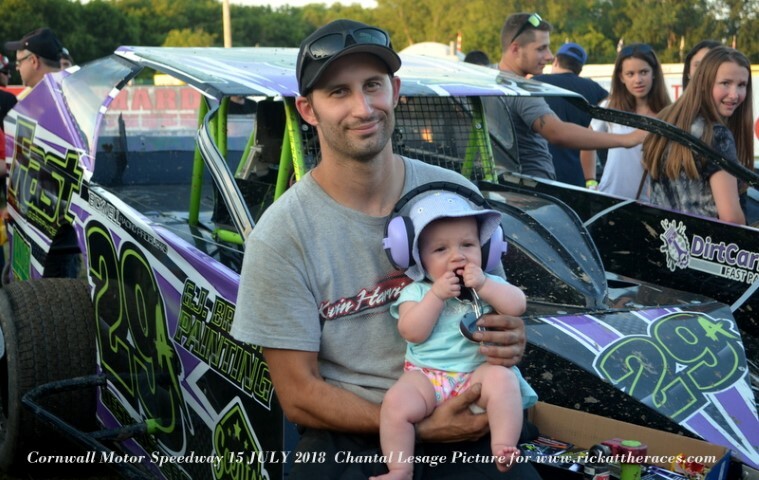 Judging from the grandstand attendance and car count, I wasn’t the only one lazing around at home. 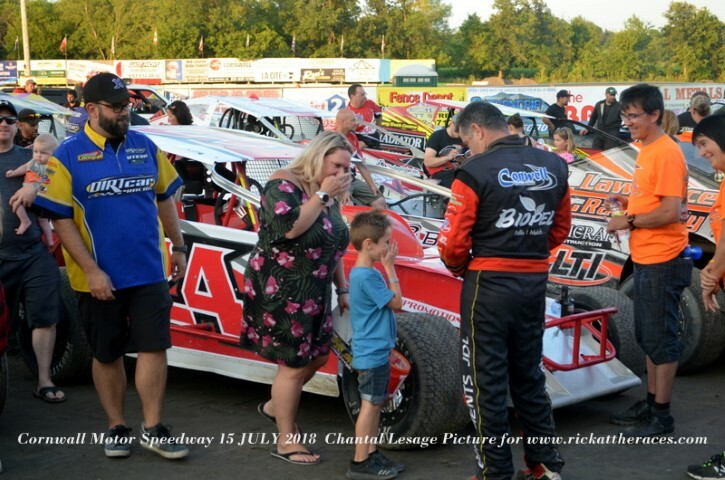 Tonight was autograph night, and my good friend Chantal Lesage took over my camera to go out on track for some pics. 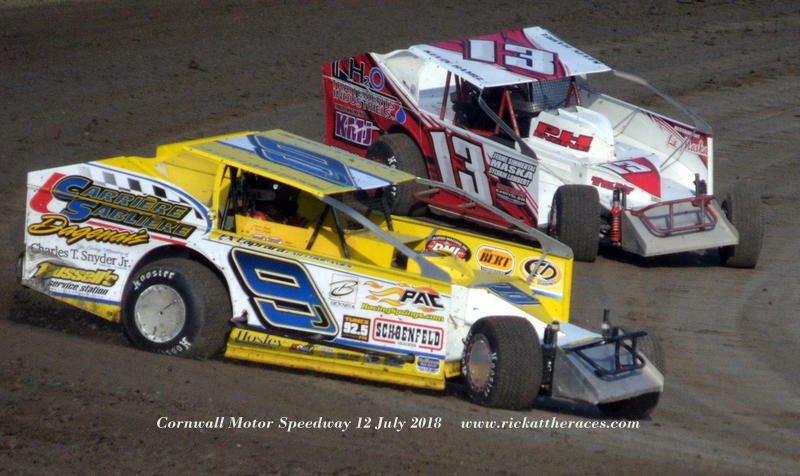 I was up on the pit tower to take my usual batch of heat race pics, before moving to the middle for the Features. 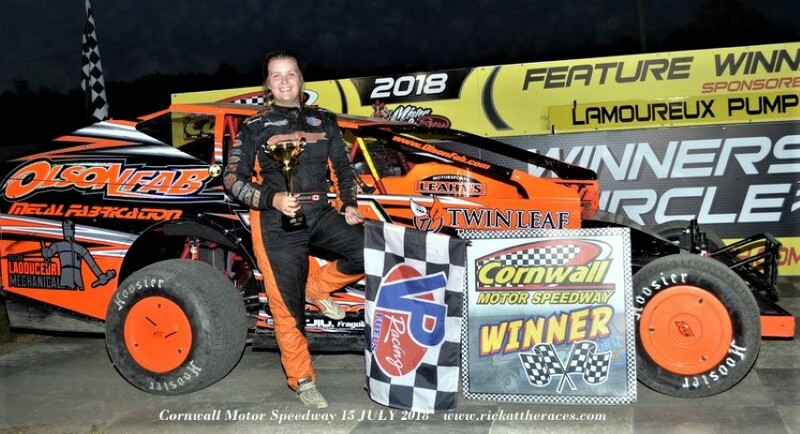 First up was the Sportsman Feature which was won by Brianna Ladouceur. 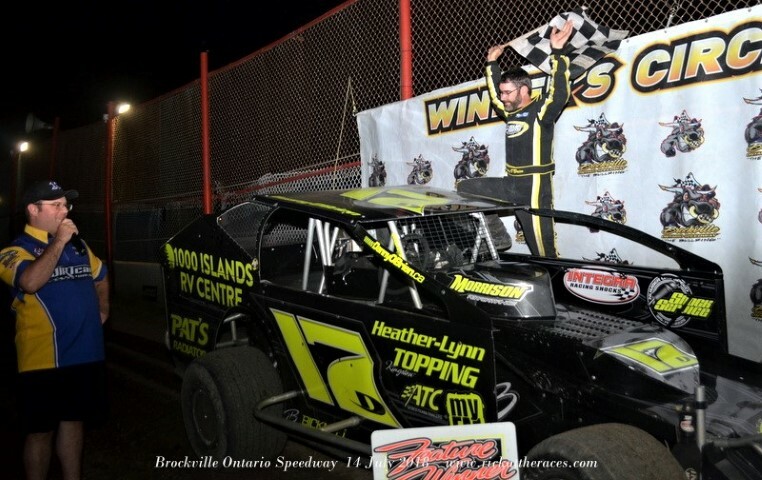 Kayle Robidoux took the Modified Feature after fending off a late challenge from Corey Wheeler. 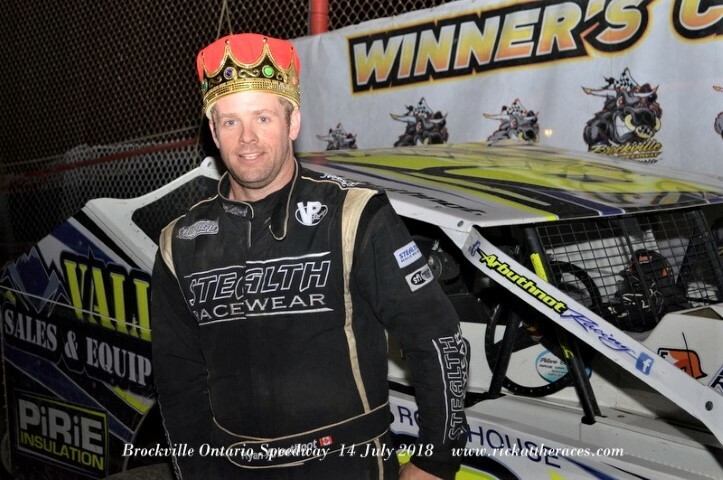 Final Feature of the night was for the Pro Stocks, with C.D Beauchamp taking the checkers.